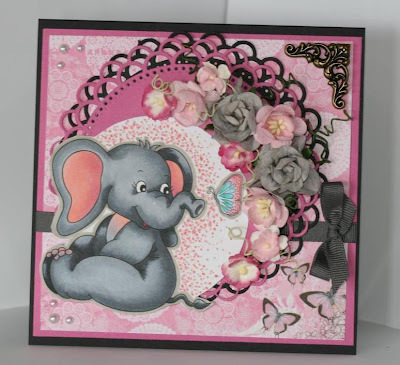 August blog hop at Whimsy Stamps! Hi welcome back to my blog I was a couple days getting this up for the inspiration blog hop at Whimsy Stamps.There are some really great stamps this month to choose from if you should win. All you have to do is hop around to all the participating Dt's blogs and leave a comment. Real easy just a little time is all you need. Just click here to get you started in the right spot on the hop. This is my card using a really wonderful image from Whimsy Stamps designer Stampart Design This image is called Elphie the elephant. What a super cute digi hey. You could use this for a birthday or a new baby card the possibilities are endless. 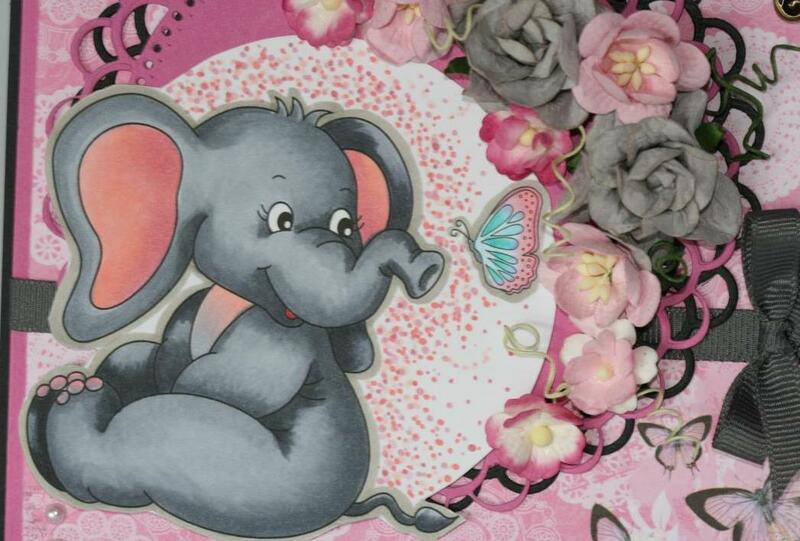 Supplies: Copic markers, Bazzill cardstock, Bo Bunny patterned paper, Whimsy circle scallop die, Flowers are from Whimsy stamps, Orchid, Queen and co pearls . Awesome, so cute, love the flowers,and the image, just is so darn cute! Love it!